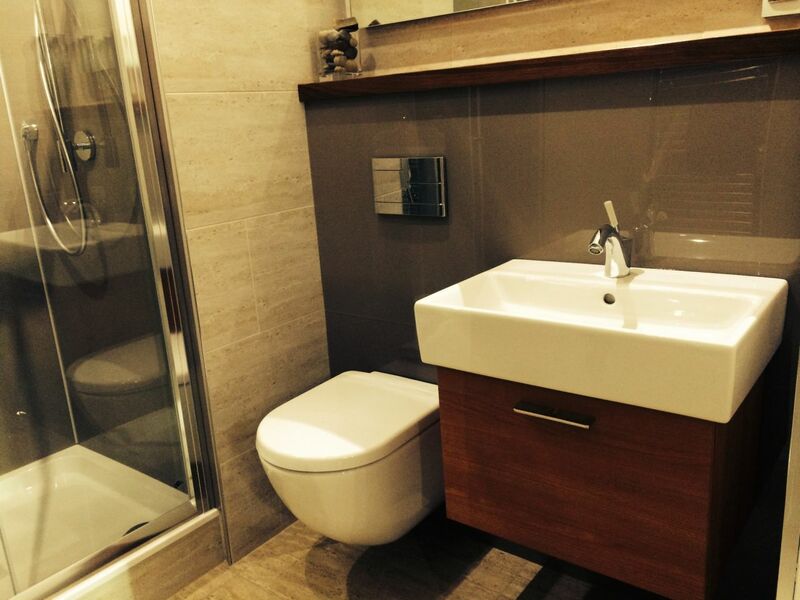 If you’re tired of the look and maintenance hassle of ceramic tile and grout joints you’re not alone! While tile is still very popular, for those wanting low maintenance, contemporary kitchen and bath designs are steering towards new choices like high gloss acrylic walls. Learn more below about this product and its top 5 benefits. What are high gloss acrylic walls and where are they used? – High gloss acrylic wall panels are 5/32” thick, have a high gloss mirrored finish (much like back painted glass) with an integrated fused color layer. This material is coated with a micro-hard coat outer layer for scratch resistance and comes in a variety of sizes (including 39” x 96” x 60” x 72”, 36” x 60” and 42” x 60”). They are used most frequently in kitchen backsplashes and tub and shower wall surrounds. These walls panels have many benefits but I’ll outline the top 5 here. 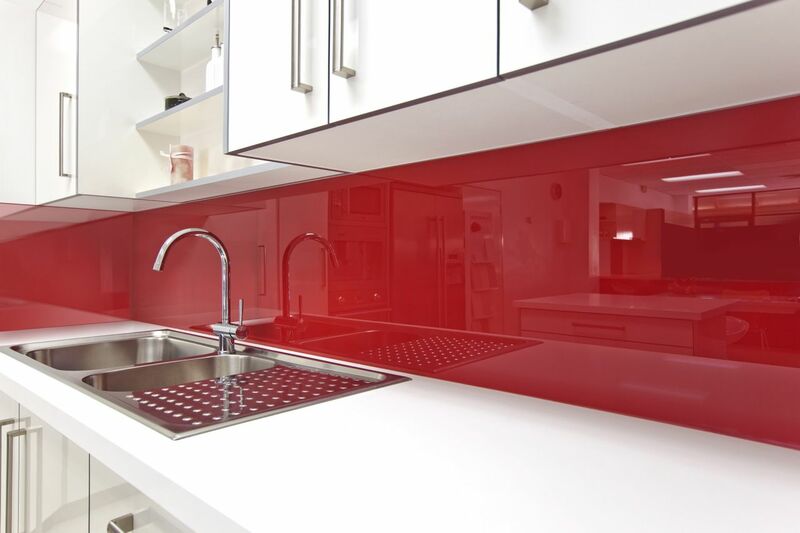 1 – Creates a glass look with the benefits of acrylic – High gloss acrylic panels are 25 times stronger than glass, less expensive than glass and are easier to work with (cut, drill etc.) on the job site. These panels are also warm to the touch. 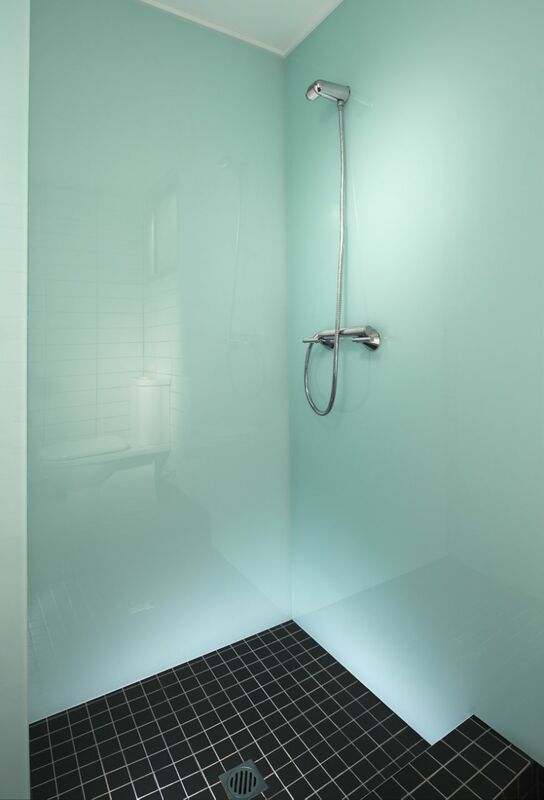 2 – 100% waterproof – Since this material is 100% waterproof you don’t have to worry about mold, mildew or the failure of the shower or tub wall system due to water penetration. 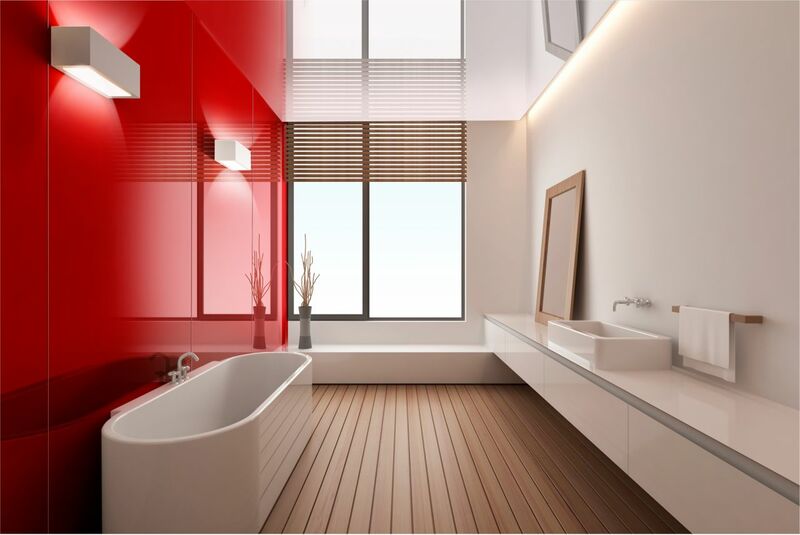 3 – Clean, contemporary look –Sleek and contemporary, streamlined lines are all the rage in kitchen and bath remodeling today and high gloss acrylic walls will help you to take advantage of these design trends. 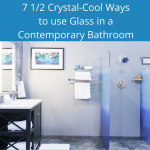 4 – Unique colors with a pop of style – Imagine a cool “blue attol” shower surround, a “red rouge” kitchen wall or a “mocha” bathroom surround – very cool colors indeed. 5 – Easy to clean – These smooth acrylic panels can be simply cleaned with warm water and a soft cloth. There is no need for scrubbing and abrasive chemicals to clean your tub, shower or kitchen backsplash. You can say goodbye to the hassle of grout joints forever! What do you think about high gloss acrylic walls? Do you like them or traditional tile wall better? Please comment below. Kristi – good question. I would budget about $2,700 to $2,900 for high gloss shower wall panels to fill a 60 x 36 x 96 sized space including shipping. You can use the same backer board system as you use behind other acrylic wall panels. 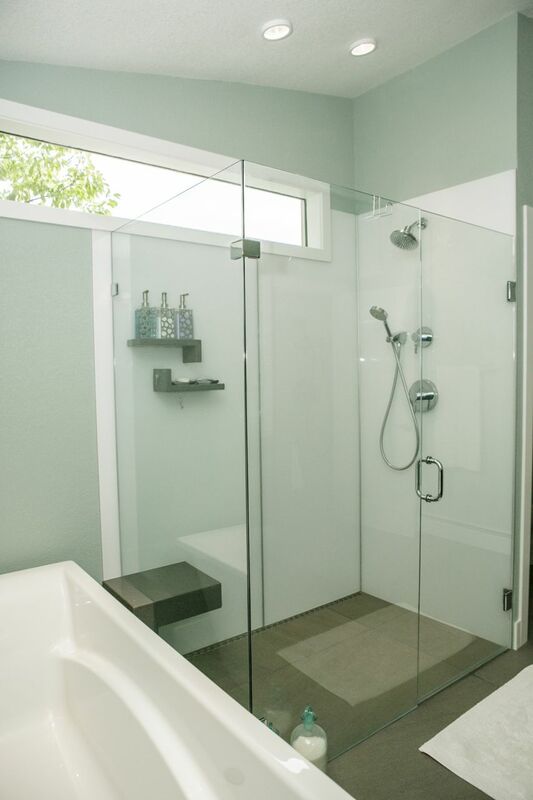 what is the timeline for delivery, cost of acrylic high gloss walls to convert a bathtub area to a barrier free shower stall. [ floor to ceiling panels where bathtub was originally] shipping cost? sale items? does it use the same cement backerboard behind the acrylic panel?? 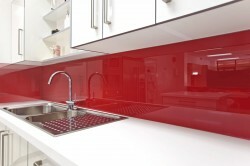 We can supply you with a red high gloss backsplash or a back painted glass. Just go to our site -www.innovatebuildingsolutions and give us a call or send an email reply and we’ll follow up further. RED BACKSPLASH LOOKS GREAT BUT WHERE DO YOU PURCHASE IT AND IS IT EASY TO PUT UP?